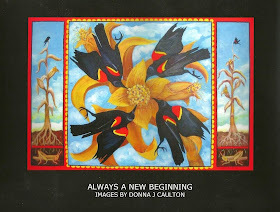 Donna J Caulton - Painter and Printmaker: Don't miss Gaucho Blue when visiting this year's High Road Art Tour. Don't miss Gaucho Blue when visiting this year's High Road Art Tour. I am so happy to let everyone know that this painting, Halo Ark of the Golden Aspen, has sold at Gaucho Blue Fine Art Gallery in Penasco, NM. There are some really good reason why this makes me happy. To begin with, this painting is particularly important to me. It is the first painting to sell from my Shield series. I particularly like that almost everyone who saw it was drawn to it in a way that makes me believe I'm on the right track with this new work. 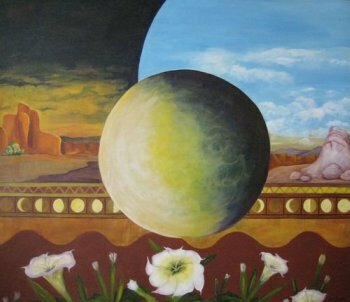 Also, I am thrilled that Gaucho Blue, http://www.gauchoblue.com/, was able to sell it. I have had work there for years, but this is the first piece of substantial size that has sold. I am thrilled and it is also good for the gallery. Now you really MUST stop in at Gaucho Blue when you Take the High Road for this year's annual art tour. 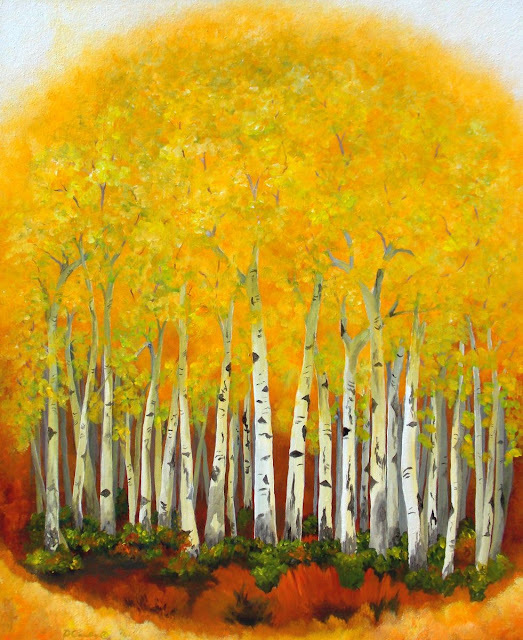 My studio, for the first time, will not be open for tour but you will be able to see my work at Gaucho Blue and at the High Road Art Gallery in Truchas, so don't miss it!! 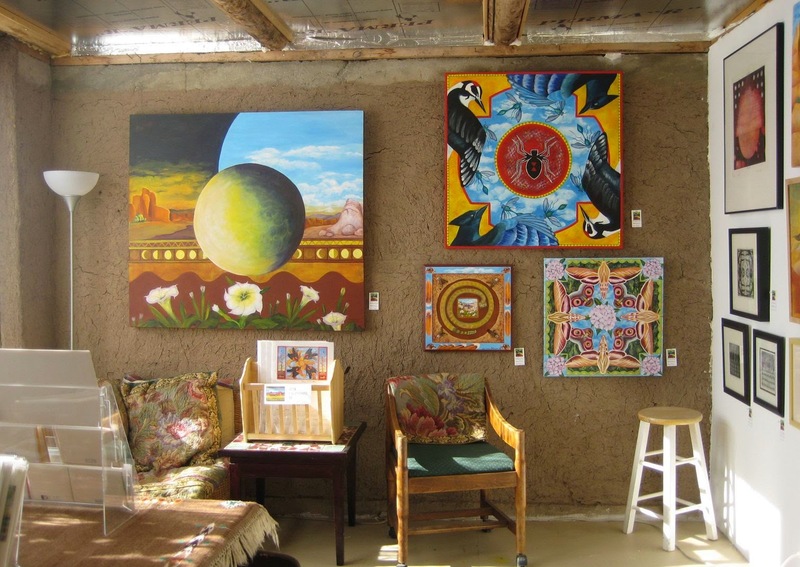 Art tour happens for the next 2 weekends, Sept. 22nd, 23rd and Sept 29th and 30th. There are some new artists and some old standby's. Happy Trails!! All visitors are now able to view your blog over an encrypted connection by visiting https://donnajcaulton.blogspot.com.